The NeuroShell Predictor contains state-of-the-art algorithms that train extremely fast, enabling you to effectively solve prediction, forecasting, and estimation problems in a minimum amount of time without going through the tedious process of tweaking neural network parameters. Designed to be extremely easy to use, this product contains our most powerful neural networks. Reads and writes text files for compatibility with many other programs. The prediction algorithms are the crowning achievement of several years of research. Gone are the days of dozens of parameters that must be artistically set to create a good model without over-fitting. Gone are the days of hiring a neural network expert or a statistician to build your predictive models. 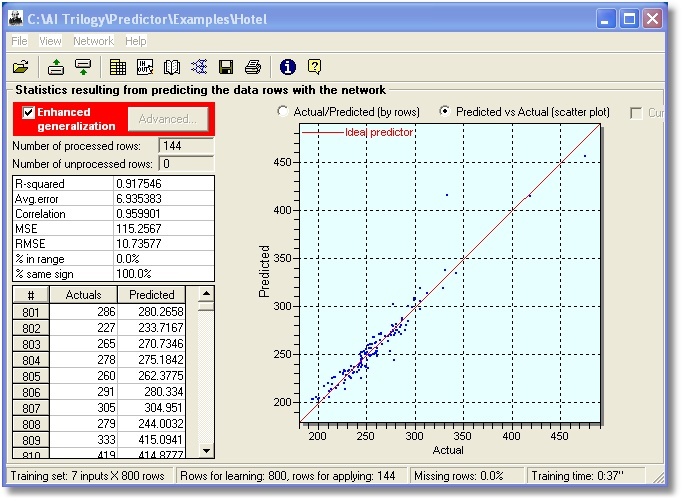 The NeuroShell Predictor reads data exported from spreadsheets and displays it in a datagrid. You can select contiguous or random data rows for training and out-of-sample sets. 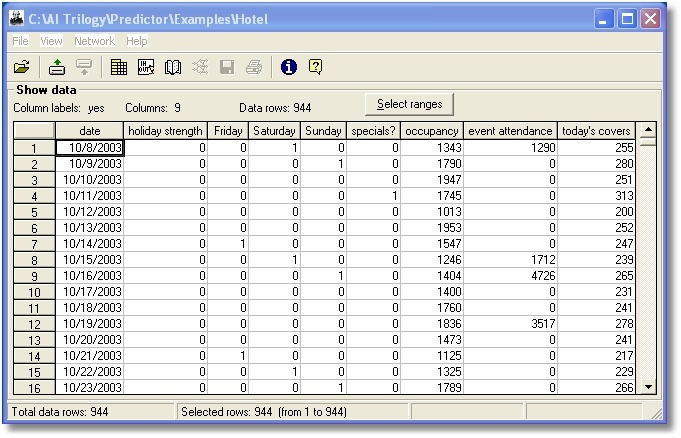 You can select inputs and the desired output from the columns in your data file. You can also select either the neural or genetic training method. There are only a couple of settings the neural method requires, unlike the older backpropagation algorithm which required extensive “parameter tweaking”. 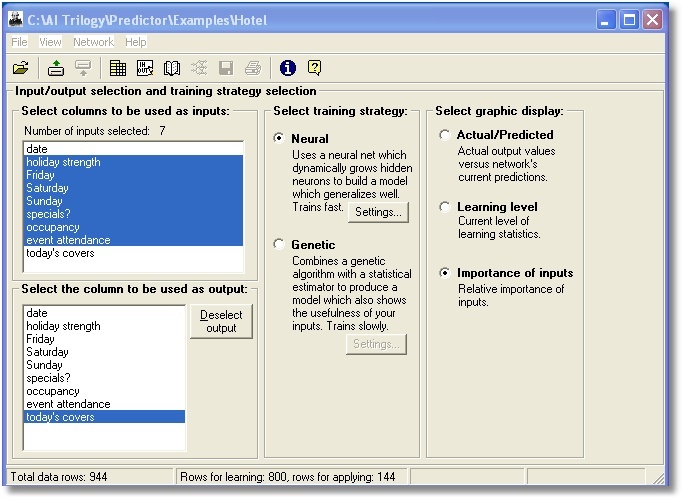 The genetic training method offers three modern optimization techniques and a choice of optimization goals. 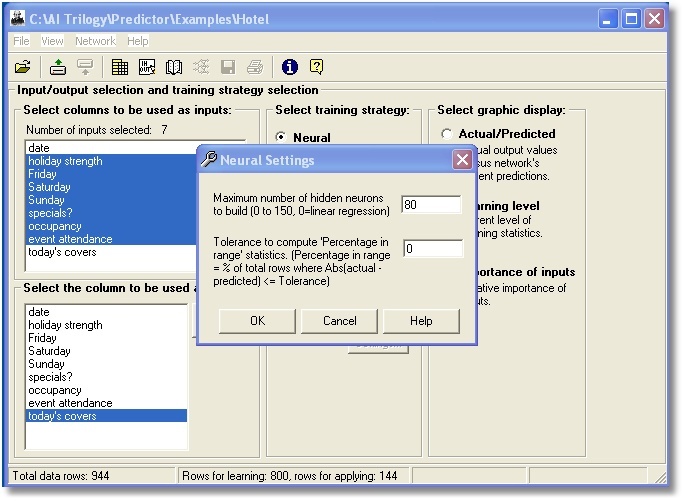 After training the neural network may be applied to training data or out-of-sample data. 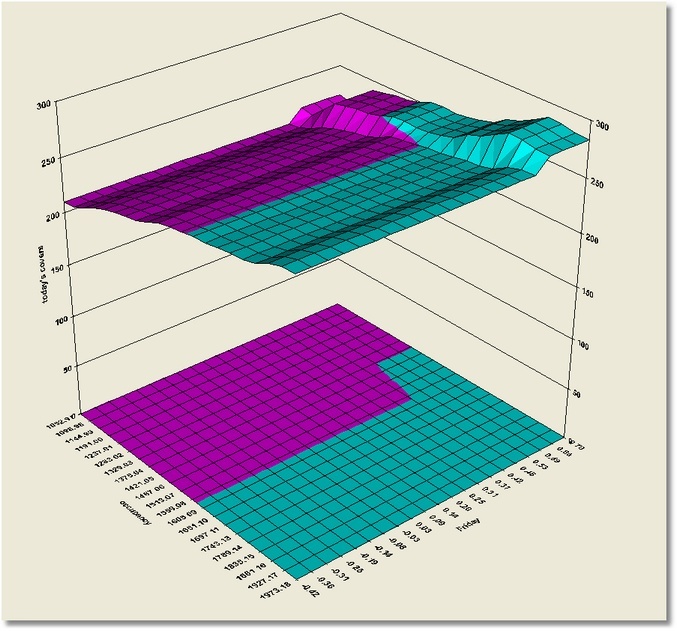 The graph helps examine inputs for a Forex prediction model. 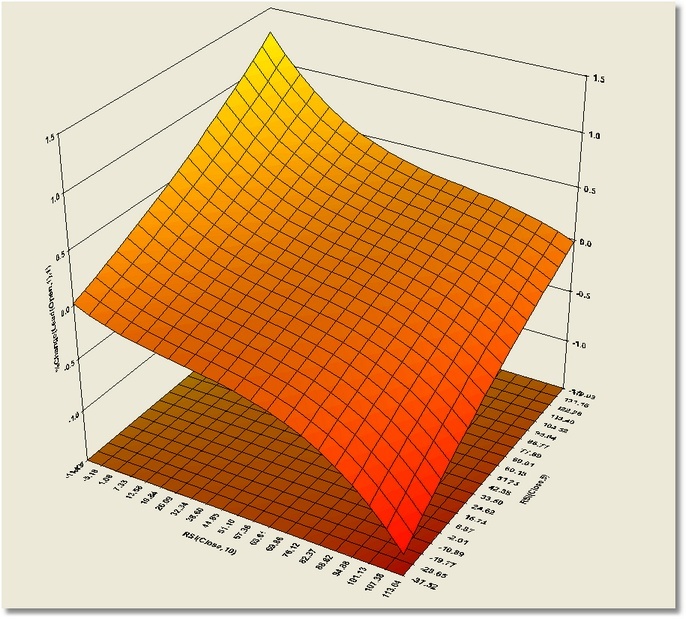 This graph analyzes the inputs for a sales forecast.